A sample cardiac diet will show you exactly what I mean by healthy heart diet. A cardiac diet is one that will nurture your cardiovascular system and help your body stay healthy by not overloading your system with one type of food such as fat and salt. This is by no means a diet, this is a sample of the food that I eat and it is helping me to get lean and staying healthy by eating a balanced diet. I lost 20 pounds in 3 months with exercise and eating well. I have always said dieting doesn’t work all you need to do is modify your current diet. A sample cardiac diet encompasses all major food groups but does not over indulge in any one type. If you need anymore ideas feel free to drop me a line. 1 medium bagel whole wheat; 3 (3.6 oz) pancakes; 1 cup baked beans; 1 cup pasta; 1 cup beans (kidney, black etc. ); 1 large pita (whole wheat); 1 bran muffin; 1 (2”x4”) potato; 2 slices Bread (whole wheat, rye, pumpernickel); 1 cup quinoa; 1 cup cereal, whole grain; 1 cup low fat refried beans; 1 cup couscous; 1 cup Rice (brown or wild);12 crackers; 1 medium sweet potato; 2 English muffins, whole wheat; 2 tortillas (corn); 1 cup hummus; 1 large whole wheat Tortilla; 1cup lentils; 2 whole wheat waffles; 1 cup oatmeal. 1 oz low fat cheese; 1 oz Parmesan cheese; 1 cup 1% cottage cheese; 8 oz skim milk; 1 oz Feta cheese; 1 oz soy cheese; 1 oz Goat cheese, semi soft; 8 oz soy milk; 1 ½ oz mozzarella cheese; 8 oz low fat Yogurt. 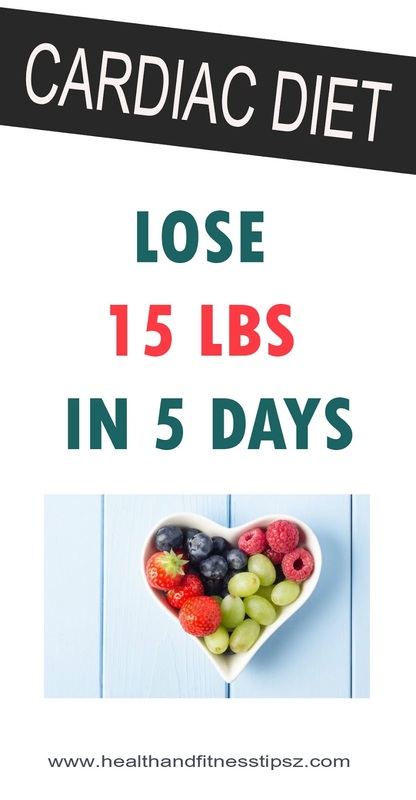 1 medium apple; ½ medium mango; 1 cup apricots; 1 medium nectarine; 1 medium banana; 1 large orange; ¼ medium Cantaloupe; ½ medium papaya; 1 cup cherries; 1 medium peach; 1 oz dried fruit; 1 medium pear; 6 oz fresh squeezed juice; 1 cup (raspberries, blueberries or blackberries); 1 medium grapefruit; 2 cups sliced strawberries; 1 cup grapes; 1 medium tangerine; 1 cup kiwi; 1 cup watermelon. Low fat dressings, BBQ sauce, marinades, mustard, honey, pure fruit jams. 3 servings of protein, 3 servings fruit, 3 servings of vegetables, 1 serving of dairy, 1 serving of fat, 4 servings of carbohydrates and 3 servings of condiments per day. Add in a dash of exercise and presto a cardiac diet is born, all tailored to your needs. Eating healthy low fat foods is easy to do. Not eating unhealthy foods is even easier. Everyone knows what not to eat, but they do it anyways. People have their reasons why they eat unhealthy and there are a lot of excuses. One excuse is having no time; people will often say “I have no time to prepare healthy foods, so I have to eat out”. I work 12 hour shifts and when I get home I help look after 3 active children and I exercise regularly 6 times a week! I do most of the cooking and I have time to make healthy foods it takes no effort these days to look on the computer for recipes and bingo you’re trying something healthy. If you need to know what not to eat, here it goes… Don’t eat deep fried, skin on, fat soaking prepared food. In essence prepare your own food don’t rely on others to prepare it for because you don’t know what is in it! If you have to eat out once in a while try to keep the fat content around 2.5 grams or less, no cream based sauces and lots of vegetables on the side and choose foods with low sodium content. Use the sample cardiac diet as a guide, to help you on a journey of wellness. If you can make an effort to eat right 90% of the time your body will love you for it and you are ahead of the rest of the world as far as eating healthy.